How do those following the path of Hinduism celebrate the winter solstice season? 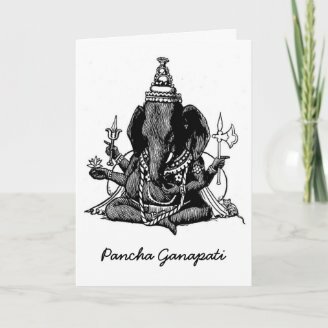 The festive holiday I discovered was Pancha Ganapati. In 1985 Satguru Sivaya Subramuniyaswami, the founder of the magazine, Hinduism Today, created a holiday for Hindus that could be celebrated around the time of Yule and Christmas. He saw that for Hindus in the West, especially the children, this time of year could be difficult and confusing when asked about gifts and celebrations. 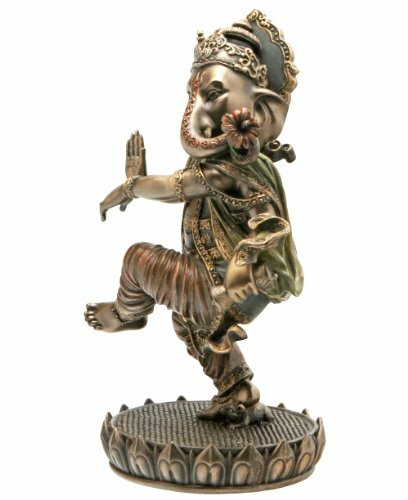 He created Pancha Ganapati as a comparable holiday but one that would not compromise Hindu beliefs. Everyone can participate in the sharing of gifts and sending of greeting cards and celebrating a natural time of celebration. 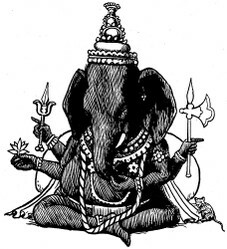 Pancha Ganapati is celebrated from December 21 to 25. An altar is constructed in the main living area of the house dedicated to the Lord Pancha Ganapati or Ganesha. It is decorated with a stature of Five-Faced Pancha Ganapati, or Ganesha and flowers, lights, and other traditional Hindu ornaments. Everyone helps to decorate the shrine every morning, especially children. Sweets are placed on the shrine, to be eaten by everyone after Ganesha blesses it. 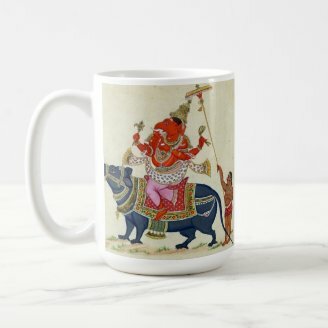 The elephant-headed God is the god of new beginnings and culture. Every day he is dressed in a different color and unopened gifts are placed on the shrine to be opened on the last day. There is no tree or Santa Claus but there is a different sadhana or spiritual discipline observed by the whole family. The color for this day is yellow. The sadhana is to create harmony in the immediate family. After a ceremony is preformed, the family sits together and makes amends for insults and injuries done to each other during the year. After forgiveness is offered, they mention the good qualities of each other. Then gifts are exchanged and placed unopened in front of Ganesha as they are for each day of the celebration. The color for the day is blue. It is the day to make amends with neighbors. It is the day to clear up misunderstandings and restore harmony. Close friends and family who are far away are called or written to offering apologies and asking forgiveness. Heartfelt gifts are given. The color for this day is red. It is the day to create harmony with business associates, merchants and the public. Gifts are given to co-workers and customers. It is the day to settle debts and disputes. Today the color is green. It is the day to enjoy cultural aspects of music, dance, art and drama. Family members and friends gather to share their cultural gifts and to make plans to bring more of the cultural aspects into their lives. The color today is orange. Today’s focus is on charity and spirituality. 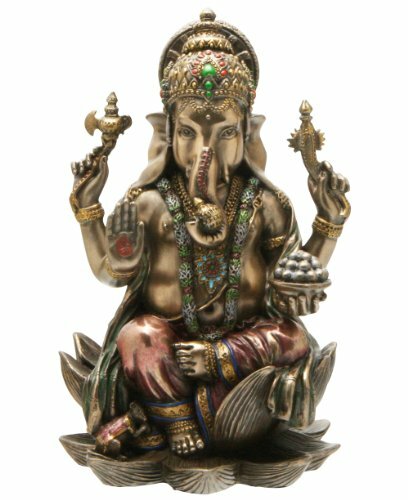 The gifts are opened and everyone feels the loving prescence of Ganesha inspiring them for the coming year. His blessings fill the home and the hearts of the family. I don't know that it is celebrated everywhere, but I know they celebrate it around Chicago. Interesting idea to make this holiday as you describe. Never heard of it before! I think it's interesting that it is such a new holiday. Kwanzaa is another new holiday for the season. 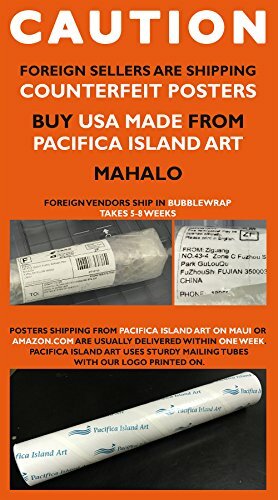 Thanks and you are welcome. I didn't know either until recently. The Ardhanarishvara or Ardhanareeshwara concept also known as Shiva Shakthi in Hinduism symbolizes the equal importance of feminine and masculine energies in the universe. Holi is the festival of colors celebrated around the time of spring every year and the date of celebration usually comes in the month of March.